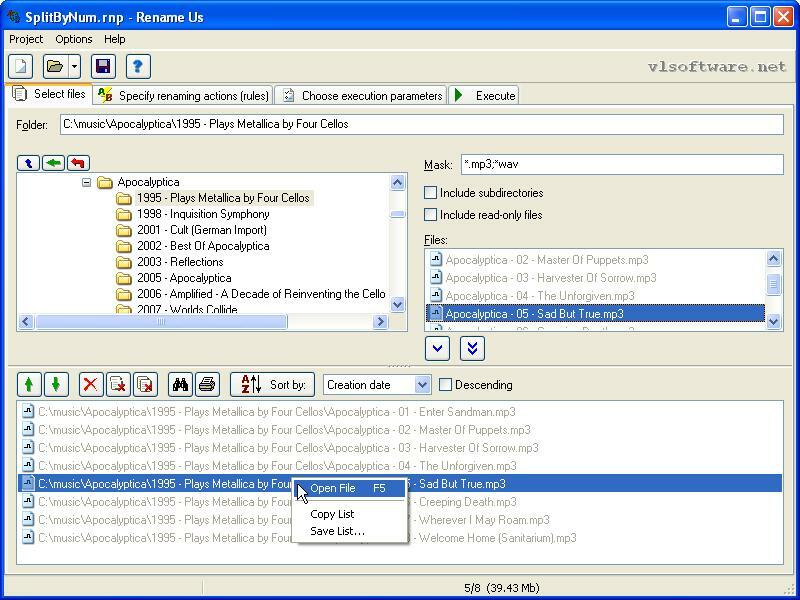 Free file utility, which allows to quickly rename group of files at once. It is very useful for renaming the group of files of similar types (pictures, databases, etc.). You can select folder with files to rename. You can also specify file mask (for example: *.jpg;*.jpeg), which will filter selected files by the mask. Rename*us allows to change extension of selected files at once. Qweas is providing links to Rename*us 1.11 as a courtesy, and makes no representations regarding Rename*us or any other applications or any information related thereto. Any questions, complaints or claims regarding this application Rename*us 1.11 must be directed to the appropriate software vendor. You may click the publisher link of Rename*us on the top of this page to get more details about the vendor.